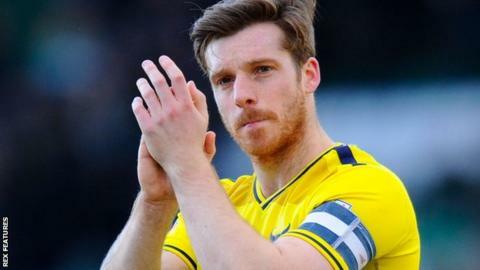 Oxford United have released five players after promotion to League One. Central-back Johnny Mullins, 30, is one of those to leave, along with strikers Jordan Bowery and Pat Hoban, defender Freddie Grant and midfielder AJ George. Strikers Danny Hylton and Chris Maguire will be offered new deals, while midfielder Josh Ruffels and goalkeeper Benji Buchel will stay on another year. Loan players Jonjoe Kenny, George Waring and Jordan Evans have returned to their parent clubs.